- Rhino defeated Jeremy Wyatt to become the new Metro Pro Champion. After the match, Rhino sold the belt to President Strider for $10,000. - Dark Match: KC Wolves defeated Mike Outlaw/Keith Smith Jr.
- Kobra Kai Dojo defeated The Commission in a Best 2 Out Of 3 Falls Match. Titles did not change hands because Fall #1 was a DQ. - Kobra Kai (Davey Vega & Mat Fitchett) & Steven J. Girthy defeated The Commission, thanks to Pete Madden. Girthy is now back to being sole Commissioner. - Jeremy Wyatt was the sole survivor in Tag Teamageddon II after eliminating A.C.H. 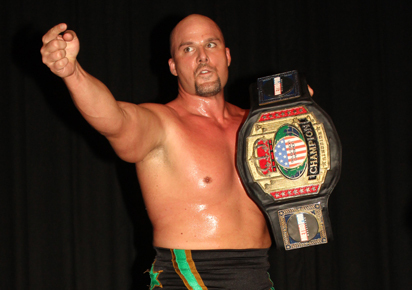 - Jeremy Wyatt was stripped of both the Metro Pro Championship and the NWA Central States Championship due to injury. Metro Pro Championship would be decided via the first Metro Proyale later in the night. - Dingo won the inaugural Metro Proyale. - Following the Metro Proyale, Interim Commissioner Steven J. Girhty explained that he forgot to mention that the loser of the earlier Cruz vs. Sterling match got a MPW Title shot right NOW. Sterling defeated Dingo to become the new Metro Pro Champion. - NWA Kansas Non-Title Match: A.C.H. d. S.B.C. - NWA Kansas Title Match: Tyler Cook and "Showtime" Bradley Charles were both counted as the winners by two different refs. The title is now held up, and a Best-of-3 series will commence.